We are now experiencing the colder winter months in the Valley, and we want to take the time to give you some important tips to protect your plants from frost to keep your backyard looking great! Keep in mind that anytime there is a threat of frost, you need to take precautionary measures to protect plants from exposure to cold temperatures. The easiest way to protect against frost is by covering your plants. Almost anything will work, but old blankets, sheets, and burlap sacks are best. 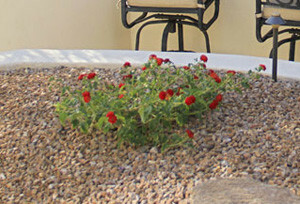 When covering plants, loosely drape them and secure with rocks, or bricks. The lighter covers can simply be placed directly over the plants, but heavier covers may require some type of support to prevent the plants from becoming crushed under the weight. Covering garden plants in the evening will help retain heat and protect them from freezing. However, it is important that the covers are removed once the sun comes out the following morning; otherwise, the plants may fall victim to suffocation. It’s best to avoid using plastic or vinyl sheets alone to protect plants from frost, since these materials can trap condensation inside, which can freeze and damage the plant. Plastic can also get very cold, and transfer that cold to the plant. 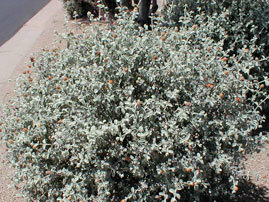 Another way to protect plants is by watering them a day or two before the frost is expected. Wet soil will hold more heat than soil that is dry. However, do not saturate the plants while the temperatures are extremely low, as this will result in frost heave and ultimately injure the plants. Light watering in the evening hours, before temperatures drop, will help raise humidity levels and reduce frost damage. Designing a garden with raised beds will also help guard plants against frost during cold temperatures. Cold air tends to collect in sunken areas rather than higher mounds. Raised beds also make covering of plants easier. The best way to know what type of precautionary measure you should take for tender garden plants is knowing their individual needs. The more you know the better off your garden and tender plants will be.